San Vicente is one of the most attractive areas of Palawan. Its famous long beach offers astonishing white sandy beaches and a perfect place for true luxury. San Vicente is still in its early development stage and buyers and development investors will be having a very competitive return. San Vicente has the aim to become the main driver of tourism in Palawan and the municipality has created a masterplan which illustrates their plans. More information about San Vicente masterplan can be found here. San Vicente International Airport is set to open in 2017 giving this region all predespositions to become the luxury hot spot for this part of South-East Asia. 2.48 Hectare Stunning, Luxury Location with a 150m PRIVATE white sandy beach for investment or development. Super Prime area close to the soon to open San Vicente International Airport and within the new development zone with full amenities planned. Close to the soon to open San Vicente International Airport and within the new development zone with full amenities planned. Beautiful, quiet, unspoiled and lush green area with a mixture of coconut, mango, and banana trees by a white sandy beach and crystal clear water. A large exclusive property with perfect calm conditions for safe swimming, snorkeling and diving. We have pleasure in offering for sale this beach lot totaling an area of 30 Hectares and an 80 meter private, white sandy beach bordered by calm, clear waters. 13 Hectares of beautiful flat land for development just a 30 minutes drive to the new San Vicente international airport. Peaceful, virgin and lush green area situated by the private sandy beach and crystal clear water within stunning scenery. Very Close to the soon to open San Vicente International Airport and within the new development zone with full amenities planned. A beautiful property very accessible with a road to the rear. Perfect for Luxury Residential area or Beach resort. 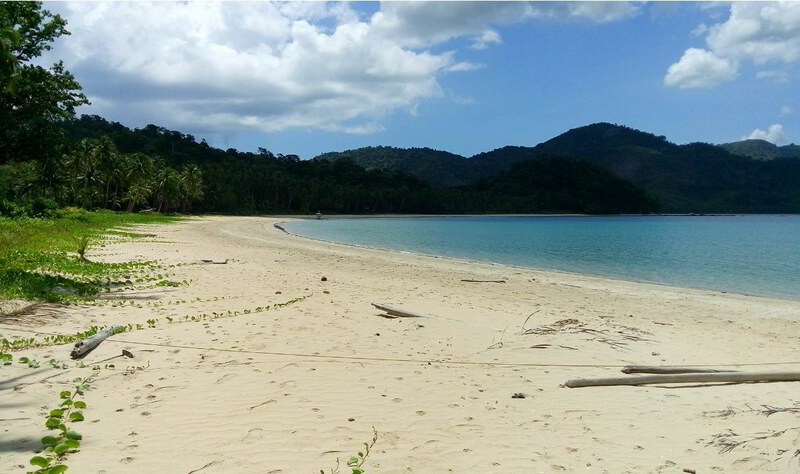 Boayan is the largest island in San Vicente and one of Palawan’s top 10 beaches. This one is just Stunning and must be seen to be fully appreciated!